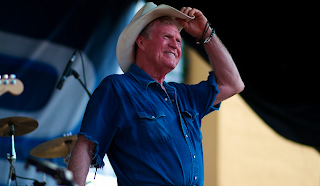 At 71-years-young, Billy Joe Shaver is one of country music's living greats. He's written songs for Waylon Jennings, Elvis Presley, Willie Nelson and Kris Kristofferson. He's collaborated with the likes of Johnny Cash, Nanci Griffith and Charlie Daniels. It's pretty much impossible to talk about the man without dropping a ton of very important musical names, but that's only because he's been around so long and is respected by so many. It's with no small excitement then, that we are happy to announce that Shaver will be performing at Decatur CD on Wednesday, August 17th at 6 p.m. He'll play Smith's Olde Bar later in the evening.